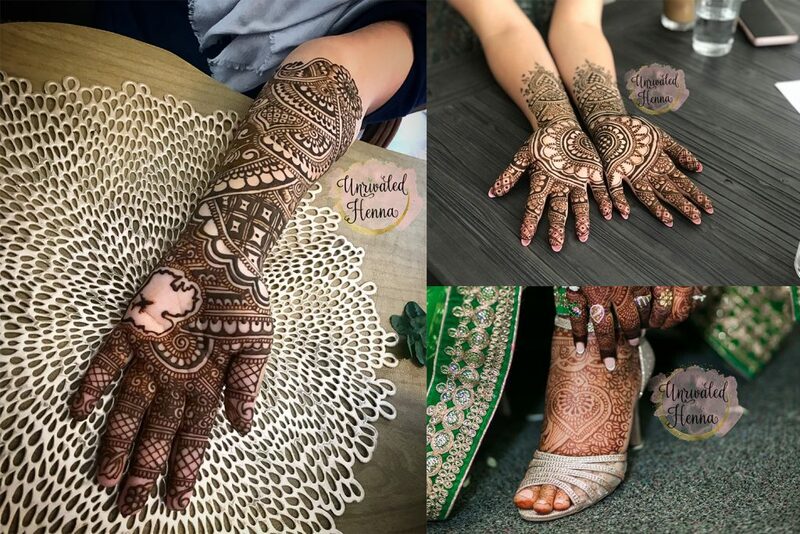 We’re excited to introduce you to Madiha, the super talented henna artist at Unrivaled Henna, located in Riverside, CA. Take a look at her absolutely stunning work! Tell us a bit about how you got started with your business / blog / venture that we branded. I started off with practicing Henna art on my family and friends for years and then finally in 2017 i decided to move forward with this and take this a step ahead. so i created my social media accounts and since then its been amazing. I provide henna service for all sorts of events, bridal or individuals appointments. I also sell 100% natural henna cones, powder and all natural lip/henna balms. What’s the best advice you have for someone that is interested in doing something similar to you? Tell our readers a bit about the branding process! As my business was growing and i saw people sharing my designs and reposting them. I wanted a logo to be able to put on my posts so if someone re-post them, they can identify the logo and the artist behind it. At first i did not have any idea of how i wanted my logo to be. I scrolled through bunch of diff designs on ALP website and gave them some bits and pieces of what i like and lily was able to bring it to life. Now, i am enjoying watermarking my logo on pictures i post, and i have received so many compliments on my logo. Hopefully bigger better things 🙂 and lots of amazing people to meet.